Poseidon, a modern Complex of Studios, has been const-rusted for you and is at your disposal. Hospitable, comfortable with super view, built with the most modern spirit to meet high demands. Every Room is furnished with good taste functionally with all the modern comforts so that it guarantees comfortable vacations for the couple, the family, the company or friends. All the Apartments are Cleaned every day. Change of Linen every 3 days. We have studied everything for you. At Maltezana you will find a great variety of little Tavern's, Ouzeri and Cafe which will make your holidays very pleasant. 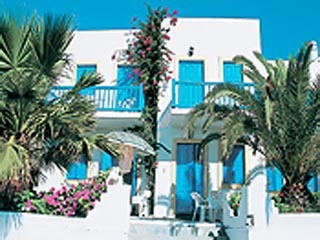 Poseidon studios are made with a will, according to the Aegean Sea colours which dominate the island of Astypalea. 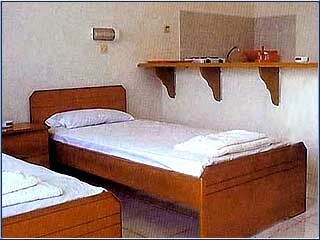 Each studio has a different space, in which 2-3 and 4 people can live in double or single beds likewise. 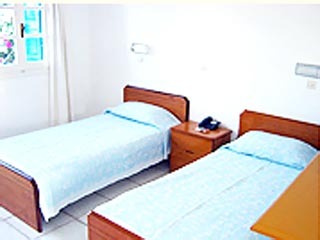 The studios are spacious, whereas the four-beded rooms have seperate bedrooms. You can either enjoy your coffee on the balcony of the room, which has an enchanting view of the sea or you can sit underneath the cool shade of the coconut trees , in the garden. 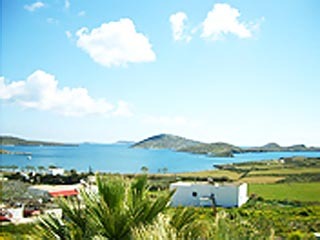 Analipsi is a picturesque Aegean village 10 km from Chora of Astypalea island. Built at a beautiful natural bay, with plenty of small and large beaches, can satisfy even the most exacting visitor. It is an ideal place for unconcerned holidays. If you are looking for adventure, you can make various explorations by boat, on foot, or by motorcycle. Vathi, Argelidi, Vai, Leivadi, Vatses, Caminakia, Koutsomitis, Agios Yannis, Agios Andreas. You must visit Chora, the Castle which dominates the top of the hill and the beautiful village. 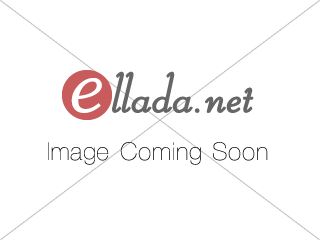 It is an experience you will never forget. If you like fishing, you can try your talent. If on the other hand you have no patience but you like fish, at Maltezana you will find abundant fried or in any other way you prefer it. Open: May - October... Poseidon, a modern Complex of Studios, has been const-rusted for you and is at your disposal. Hospitable, comfortable with super view, built with the most modern spirit to meet high demands.